Ryan Pahl is passionate about helping people achieve their goals. His experience preparing clients for high intensity situations as a Certified Ironman coach where he helps craft strategies to overcome the physical and mental requirements of such a difficult race aid him when he is guiding his Square One clients through the (some would say equally rigorous!) MBA application process. He focuses on uncovering what drives his clients’ desire, understanding their strengths and weakness, and preparing correctly to set them up to succeed. Ryan is a consumer banking professional, having worked at Bank of America and Discover Financial Services. At Bank of America he supported both product and channel initiatives including refinement of the mobile banking app and new product development for the under-banked customer segment. At Discover he redesigned the risk reporting for consumer banking and lending products as part of the strategy and analytics team. 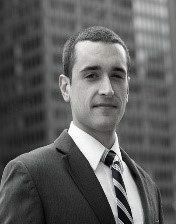 Ryan has an MBA from Chicago Booth and a BA in Economics from Wake Forest University. At Chicago Booth, he served on the admissions committee, reading applications and interviewing numerous applicants. He also helped shape the Chicago Booth community as a member of the student advisory council, as well as being a co-chair of the running club while a student. Ryan currently lives in Chicago but moved frequently growing up, including living in Iowa and North Carolina. He is an avid triathlete and cyclist, including racing for Team USA from 2013-2016. If you are unsure what type of guidance you need or have questions about the process, your candidacy, or how we differ from other MBA admissions consultancies, schedule a free consultation. We will get back to you within 24 hours. You are at square one. we will help you ensure your next destination is business school. Copyright © 2017, Square One Prep. All Rights Reserved.